The Cheer Pack includes both Kbands and the Stunt Strap. If you need higher kicks and more explosive stunts, use Kbands Cheer Bands to give you the strength and stability needed for these upper level moves. Also included is our stunt strap used to increase flexibility and decrease your chances of injury. Grab your Cheer Pack today and start building higher kicks with all the Free training videos hosted here on KbandsTraining.com and your Free Jump30 Training Program. Build strength in your hips and core with Kbands Cheer Bands to become an all-star cheerleader. By building hip flexor and glute strength during stunts you will see improvents in how you perform. Also included is our Stretching Stunt Strap. Improve range of motion and flexibility to help prevent injuries and kick higher during every stunt. Build leg and core strength. Using Kbands Cheer Bands will be an easy transition to your training. By including both resisted and un-resisted sets during stunts you will find big benefits in the way your body moves. With each resisted set your legs will recruit more muscles to perform each stunt leaving you with higher kicks during un-resisted sets. Enhanced Strength for Advanced Stunting. Flexiblity is key to performing like an all-star cheerleader. Every muscle throughout your core and lower half must be flexible in order to allow you to move through full range of motion. By utilizing your Stunt Strap you will be able target your hamstrings, glutes, hip flexors, groin and lower back for full extension stunting. Enhance Balance With Flexibility Stretching. With your order of the Cheer Pack you will receive our Jump30 digital download training program. Move through our 30 minute flexibility, jump and stunt specific training to build more explosive jumps now. Place the workout on you laptop, tablet or smartphone and train anywhere. Improve your flexibility fast with your very own stunt strap free with your order of the Cheer Pack. Improve range of motion and maximum flexibility throughout each stunt with assisted stretching with the Stunt Strap. 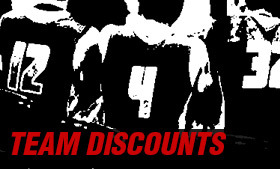 We offer group/team discounts on all orders of Kbands. If you have a team or group looking to enhance their results with Kbands save today with your order. - We accept U.S. school purchase orders. Submit a Purchase Order Form or call 1-855-528-2224 for a quote.